Spin, Charge and Momentum Density. 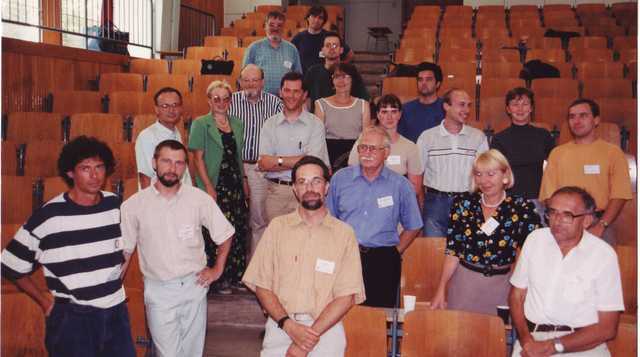 Front row: Josef Kožíšek, Christopher Frampton, Halina Ptasiewicz-Bak, Konstantin Lyssenko. 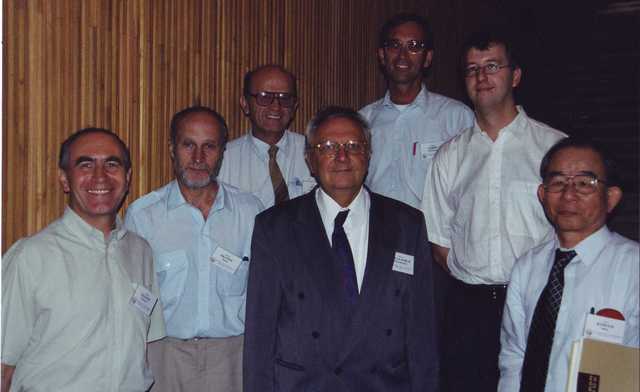 Back row: Christian Vettier, Christian Jelsch , Riccardo Destro , Claude Lecomte, Tibor Koritsanszky. Surfaces, thin layers, epitaxial thin films. Low-ordered materials, fibre diffraction. 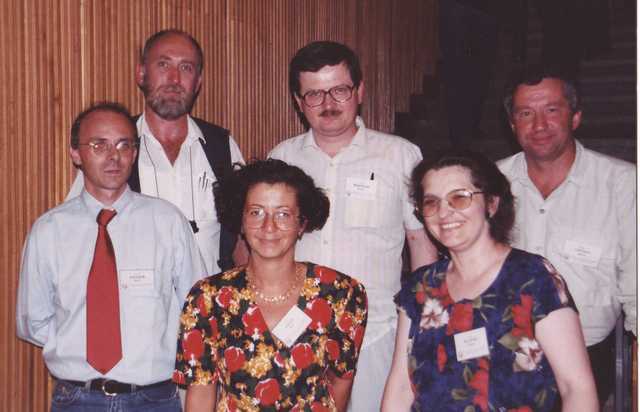 A. Burian, Biserka Kojic-Prodic, ?, Antonio Deriu, Wim Bras, Jan Kroon, ?, Louise Kroon-Battenberg. Structural Databases. 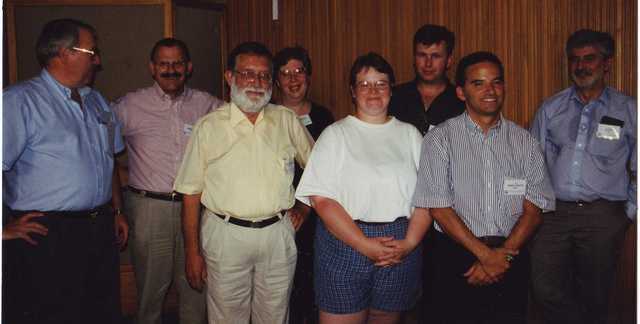 ?, ?, Gunter Bergerhoff, Helen Berman, Vanessa Hoy, ?, Juan Manuel Perez-Mato, Frank Allen. Structure determination by powder diffractometry. 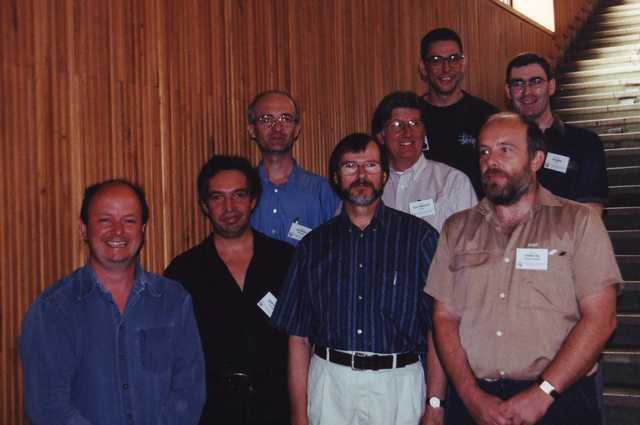 Bill David, Detlef Hofmann, Rainer Rudert, Armel Le Bail, Robert Von Dreele, Kenneth Shankland, Lubomír Smrcok, K. Harris. Inorganic compounds. 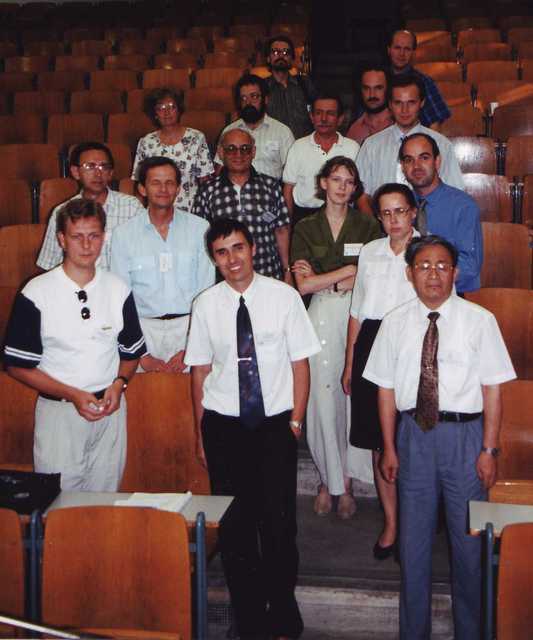 Martin Ellner, Stanislav Filatov, ?, Michal Dunaj-Jurco, Radovan Cerny, ?, Koji Kosuge. Large supramolecular assemblies and inclusion compounds. 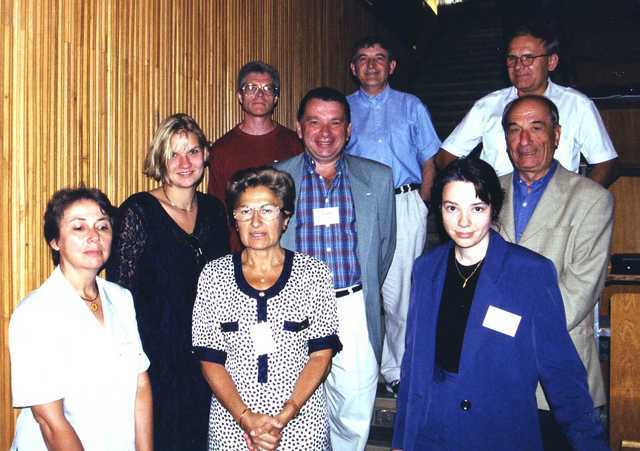 Rear: Luigi Nassimbeni, Jindrich Hasek; middle: Katrin Gessler, Israel Goldberg, Georges Tsoucaris; front: Irene Mavridis?, Sofia Candeloro de Sanctis, Isabel Usón. Hydrogen bonding. 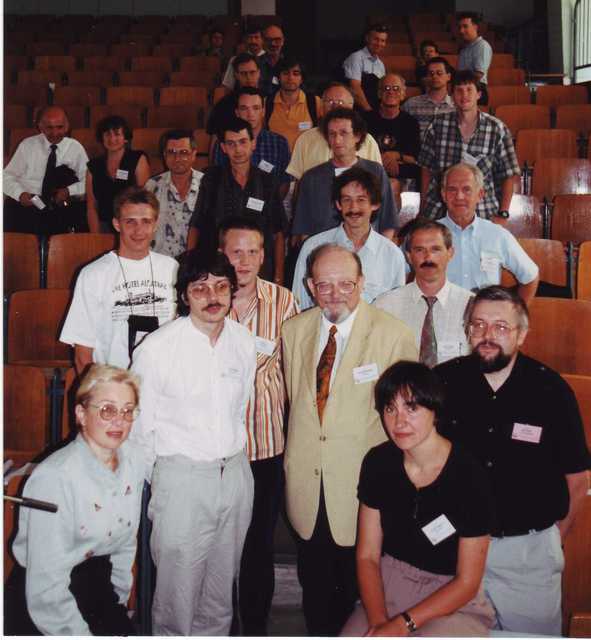 Thomas Steiner, Matyas Czugler, Paola Gilli, Krzystof Wozniak, Irena Majerz, Mikhail Antipin. DNA/RNA - structure, binding modes and function. Bohdan Schneider, Christine Cardin, Christian Betzel, Gordon Leonard, Ben Luisi, Stephen Neidle, Zippora Shakked, William Shepard. Energetics of the cell. 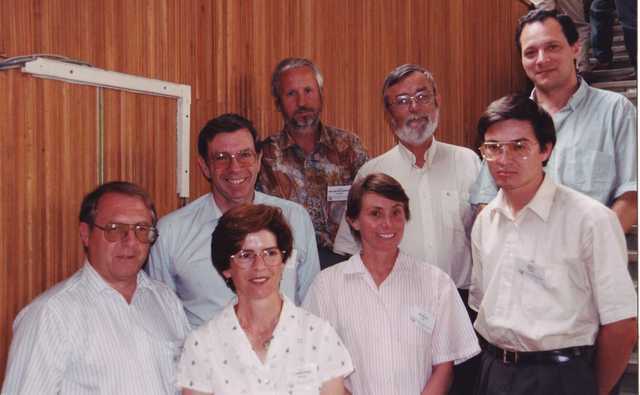 Karin Fritz-Wolf, Susan Buchanan, Neil Isaacs, K. E. McAuley-Hecht, Peter Nollert, So Iwata, Jan Pieter Abrahams. Proteins and drug design. 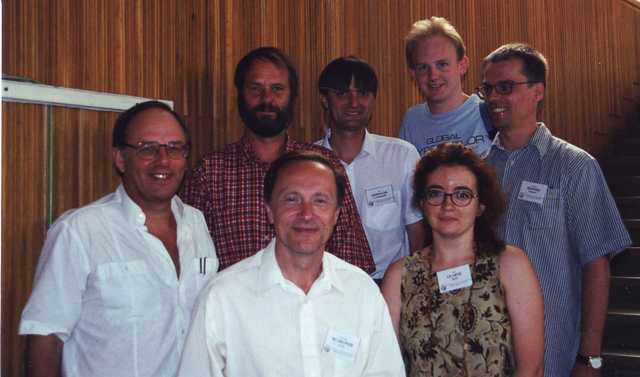 Front row: Rolf Hilgenfeld, David Stammers, Yvonne Jones, Martin Noble. Middle row: ?, Arthur Oubrie, ?.Back row: Richard Pauptit, Vilmos Fülöp. Viruses, anti-viral and anti-retroviral treatment. 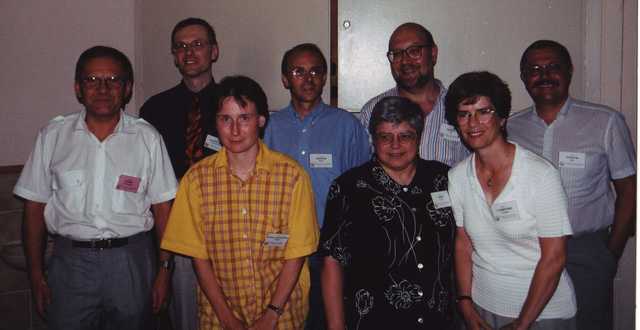 ?, Lars Liljas, Alex Wlodawer, Jan Dohnalek, Alba Guarné, ?, Jeroen Mesters. Immune recognition. 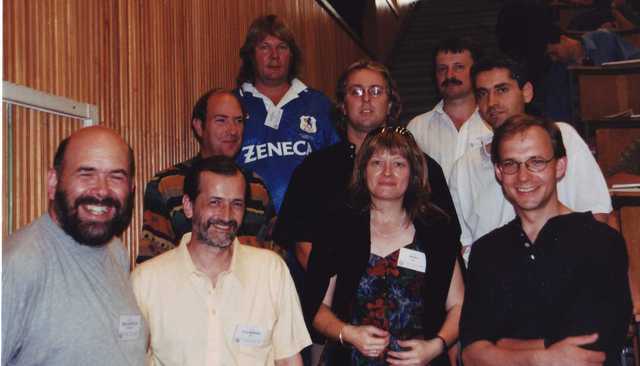 Elizabeth Hewat, Lode Wyns, Lesa Beamer, ?, Graham Bentley, Benoit Gigant, ?, Dominique Housset. Protein biosynthesis, transcription and translation. Front row: Rolf Hilgenfeld, Salam Al-Karadaghi, Mark Safro. 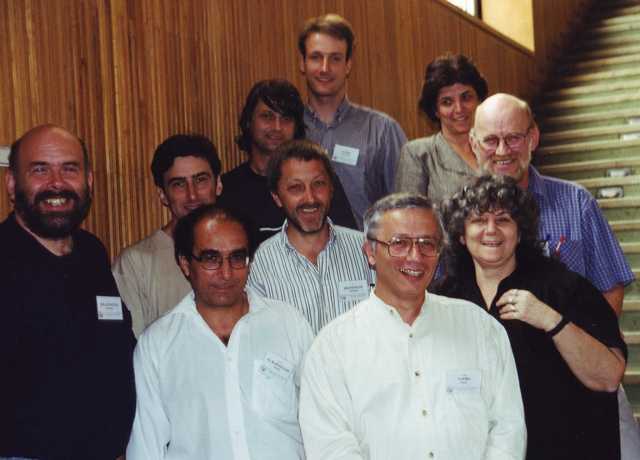 Second row: ?, Udo Heinemann, Ada Yonath. 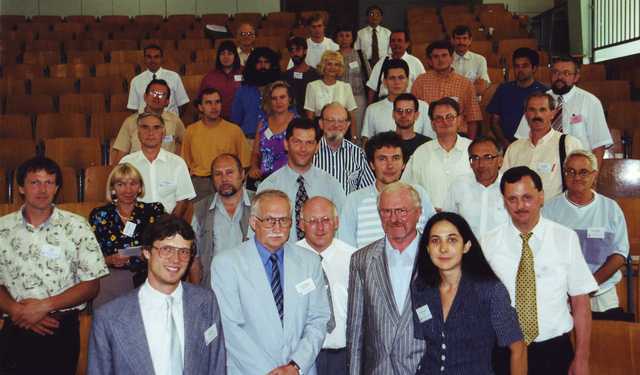 Back row: ?, ?, ?, Jens Nyborg. Metalloproteins. 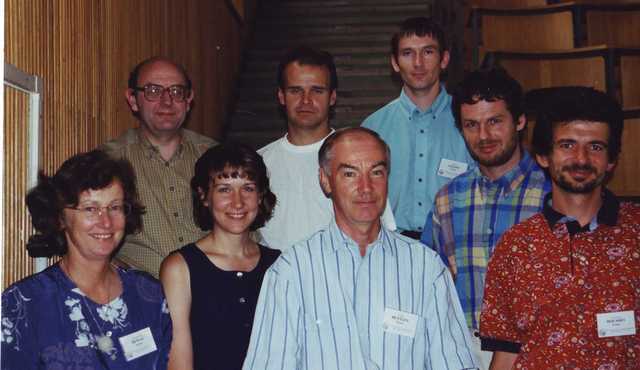 Peter Lindley, David Garner, Maria Carrondo, Albrecht Messerschmidt, Susan Bailey, Michel Frey, Stephane Réty, Carlos Frazão. Structure and function in molecular biology. 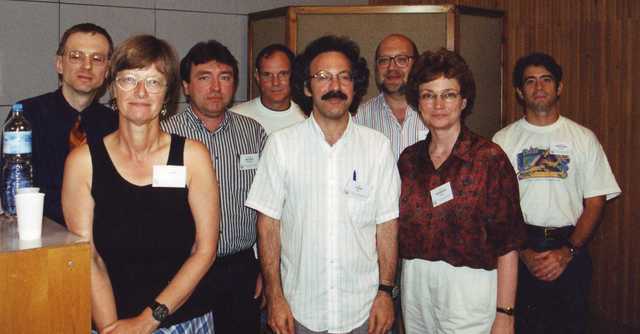 Jindřich Hašek, Bohdan Schneider, Jana Sopkova-de Oliveira Santos, Thomas Steiner, Vivian Cody, Stephen Neidle, Maria Armenia Carrondo, Sandor Pongor.